White, fluffy, sweet, sticky and entertainingly bouncy – who doesn’t love marshmallows? We usually stick to the store-bought ones… the sickly sweet, questionable tasting ones. What if I told you that making your own homemade marshmallows is one of the easiest things in the world, and that you’ll love every minute of it? Interested? Well, read on to find out how to make marshmallows – with step-by-step pictures and instructions! I have this slightly backwards, don’t I? 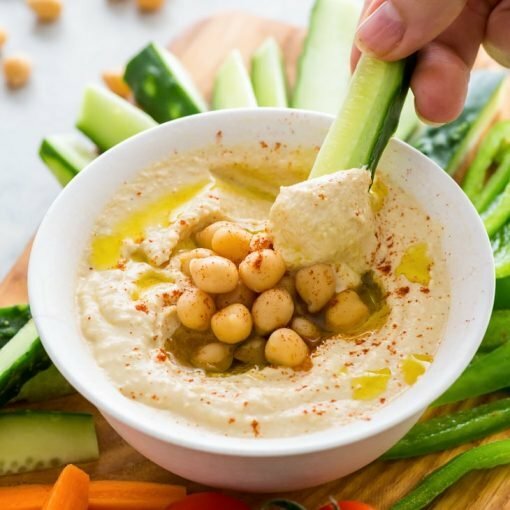 The basics should come before the fancy pancy added-flavour recipe, right? Oh, well – the story of my life. Why make things simple and start from the beginning, when you can make things complex and confuse everyone (including yourself)? Nevertheless, here we are, seeking answers for the question of how to make marshmallows. The simple answer: easily, without fuss and quite quickly, too. But because this answer isn’t really an answer at all – at the very least not a very useful one, prepare yourself for a whole lotta step-by-step pictures, detailed descriptions and my inevitable descent into overly scientific language. Professional hazard, what can you do. Also, because it’s almost Christmas (yes, November is almost Christmas) I threw a few Christmas baubles in there, for the atmosphere and a pop of colour amongst the white fluffiness of marshmallowland. But homemade marshmallows are for any time of the year and for any occasion – and once you learn how to make the most basic marshmallow… the sky’s the limit. It all starts with gelatine and water. You can use powdered gelatine (as I’ve used here) or go with the sheet gelatine (which I’ve used in my gingerbread marshmallow recipe). Both work with no problems. You add the gelatine to some water and let it do its thing. After a while (10 minutes or so), it will become thicker and you can add it to your stand mixer. 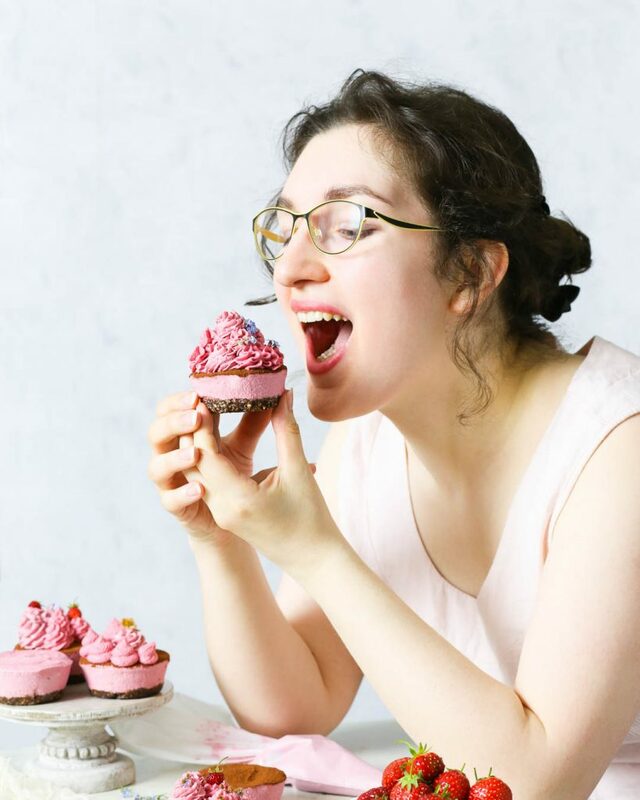 Now, there are vegetarian/vegan recipes out there that use vegetarian gelatine or agar-agar. I haven’t tried these versions yet, so I cannot really comment on how successful they are. But when I do give them a go, you’ll be the first to know. 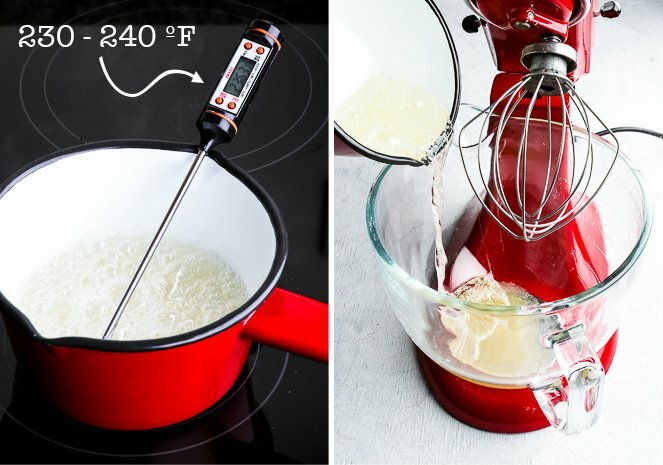 Also, you can use a hand mixer instead of the stand mixer – we’ll need the double beater attachment for the former and a whisk attachment for the latter. The (only) other thing we’ll need is a simple sugar syrup. That’s right, friends, a basic marshmallow recipe only requires 3 ingredients – and that’s with counting water! Amazing, isn’t it, how something so simple can be so utterly scrumptious? The sugar syrup is prepared by heating white sugar (or caster sugar, as it’s known in the UK) and a bit of water until it reaches a temperature of 230 – 240 ºF (110 – 115 ºC). Then we’ll pour the sugar syrup right into the bowl with the gelatine and stir gently (or whisk on low speed) until the gelatine has melted and is fully combined with the syrup. 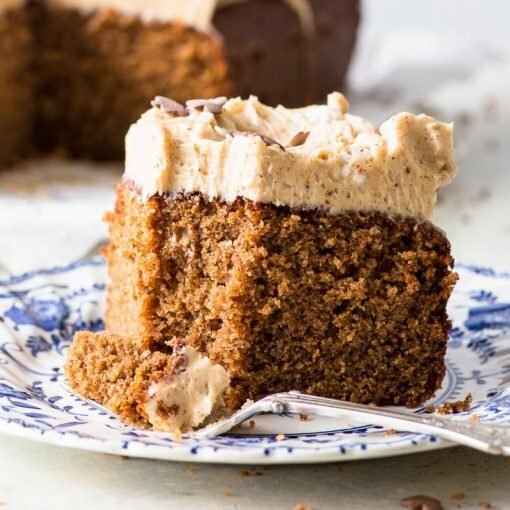 And now… well, whisk away. We’ll whisk (or rather, the mixer will do the job for us) until the mixture is at room temperature or just slightly warm, and greatly increased in volume. It will be white, fluffy, sticky and really really delicious. 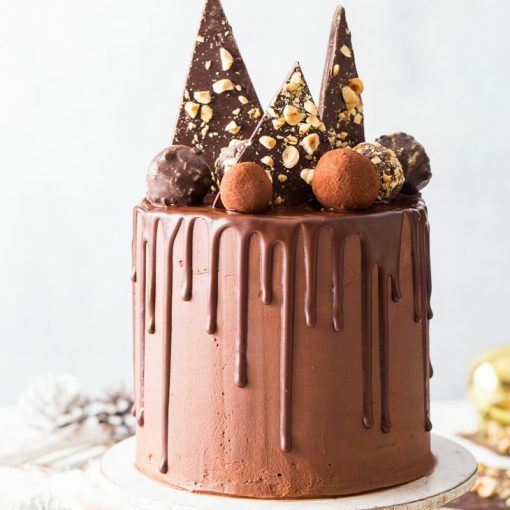 You’ll be tempted to stick a finger in there and have a taste… Well, go on then. It will also be really tempting to beat the mixture until super stiff peaks form. Don’t. We want soft peaks, the sort that drop in a silky smooth manner back into the mixture – but not too runny, either. 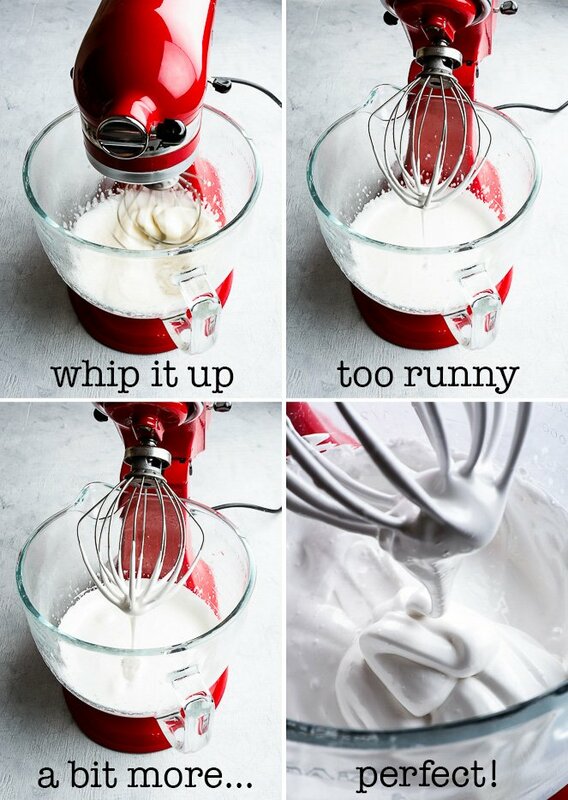 Whisking on speed 8 on a KitchenAid (that is, at medium-high speed) for 5 – 7 minutes should do the trick. Once we get to the soft peak stage, we’ll pour the fluffy stickiness into a very well-oiled baking pan or container. When I say very well-oiled, I do mean VERY well-oiled. One thing we don’t want is a marshmallow that sticks to its container. Then, we’ll smooth out the top of the marshmallow, lick any excess sweet stickiness off all spatulas and marvel at the fact that OHMYGOSHWE’VEJUSTMADEMARHSMALLOWS. 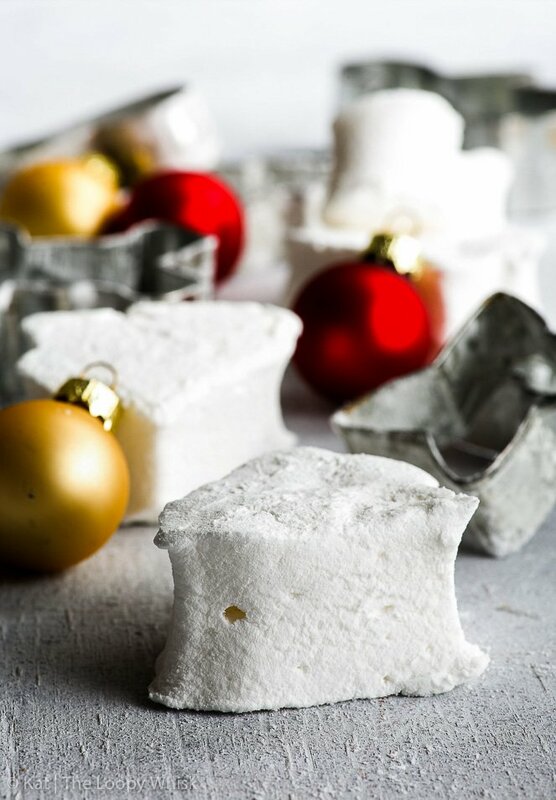 Now, you can leave the marshmallows as-is, or you can dust the top with a mixture of powdered sugar and cornflour. I went with the latter, and doesn’t it just look all lovely in a white Christmas sorta way? Then the marshmallow “block” is left to dry, uncovered at room temperature, overnight. Yes, this step does require quite a bit of patience and willpower. *sigh* I know. It’s tough. 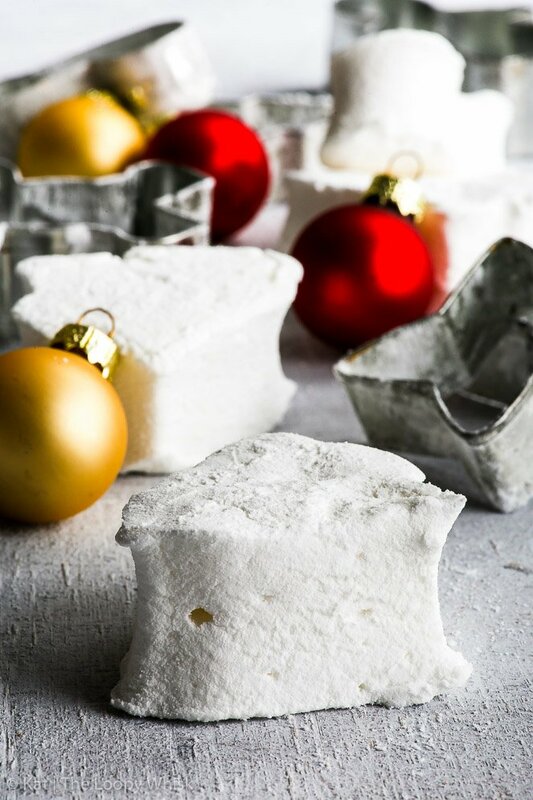 After a night of marshmallow-filled dreams, all that’s left to do is cut the marshmallows into pieces of chosen size and shape with a well-oiled knife or other cutter of choice and roll them in the powdered sugar + cornflour mixture. Because it’s almost-Christmas, I went with Christmas cookie cutter shapes. No surprise there. And aren’t they just the cutest thing EVER?!?! And… that’s it. Really. Really really. So. How to make marshmallows? With a whole lotta sugar, a whole lotta fun and no fuss whatsoever. White, fluffy, sweet, sticky and entertainingly bouncy – who doesn’t love marshmallows? 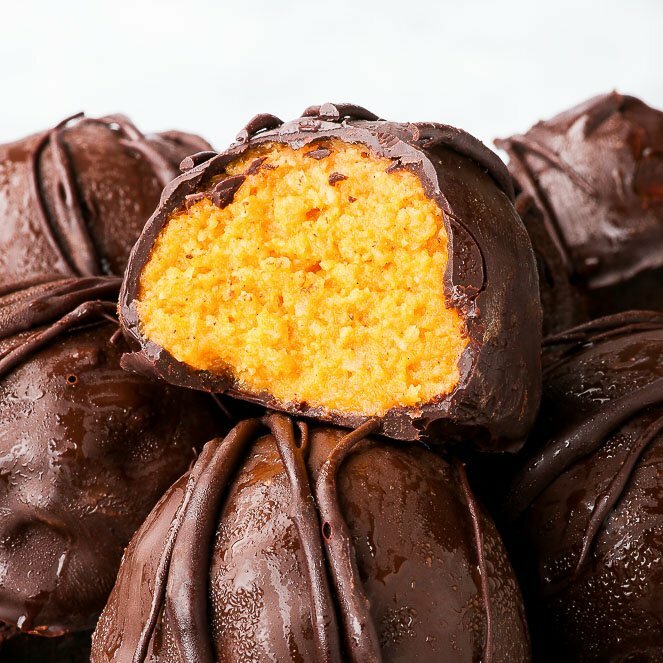 We usually stick to the store-bought ones… the sickly sweet, questionable tasting ones. What if I told you that making your own homemade marshmallows is one of the easiest things in the world, and that you’ll love every minute of it? Interested? 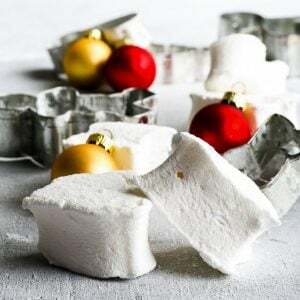 Well, here's how to make marshmallows – with step-by-step pictures and instructions in the post! NOTE: The prep time doesn't include overnight drying! 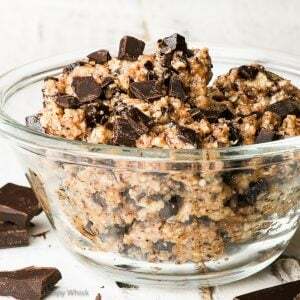 In a small bowl, add gelatine to 1/3 cup cold water. Stir and allow to sit for 10 minutes. 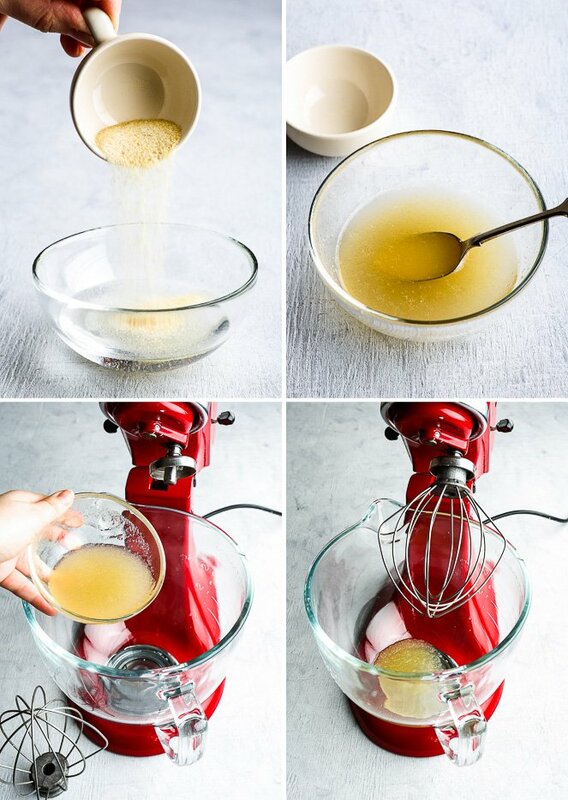 After 10 minutes, add the thickened gelatine mixture to the bowl of a stand mixer. 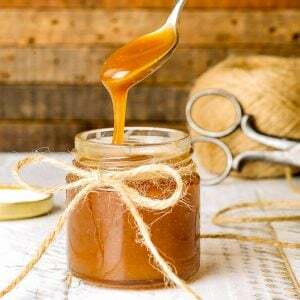 Make a hot sugar syrup from caster sugar and water by heating them together in a saucepan on medium-high heat with occasional stirring until the syrup reaches about 230 - 240 ºF (110 – 115 ºC). Add the hot sugar syrup to the gelatine, mixing briefly to ensure that all gelatine is completely dissolved before you begin whisking. Check the pictures in the post for the appropriate marshmallow mixture consistency! Transfer the marshmallow mixture into the well-oiled container and smooth out the top. Allow the marshmallow mixture to dry overnight. Leave the baking pan uncovered to allow moisture to escape. In a bowl, mix together the powdered sugar and cornflour. You can sift them a couple of times to remove any clumps. Coat the top of the marshmallow mixture (while still in the container) generously with the spiced powdered sugar. NOTE: This can be done before the overnight drying step. 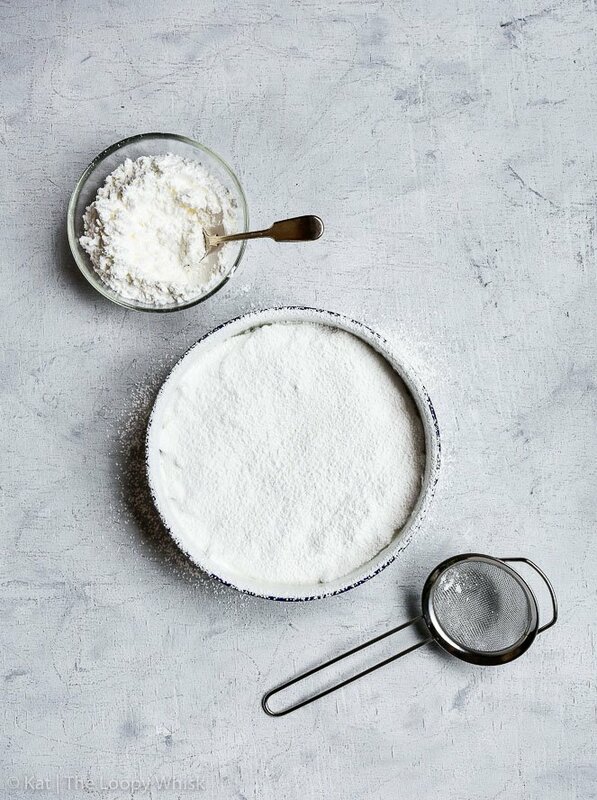 Turn the marshmallow mixture onto a clean greaseproof/baking paper and coat the other side of the marshmallow "block" with the powdered sugar + cornflour mixture. 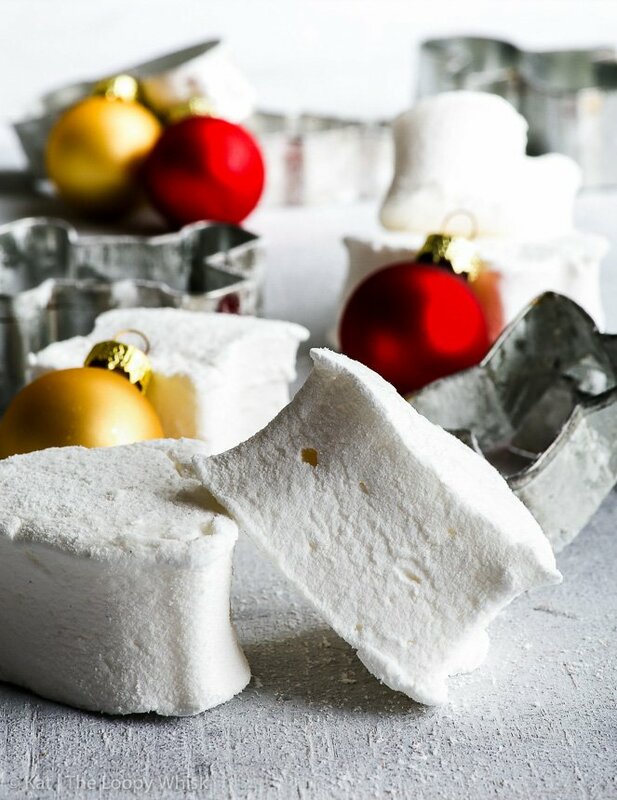 Cut the marshmallow "block" into pieces of the desired shape and size, with a well-oiled knife or cutter of choice. 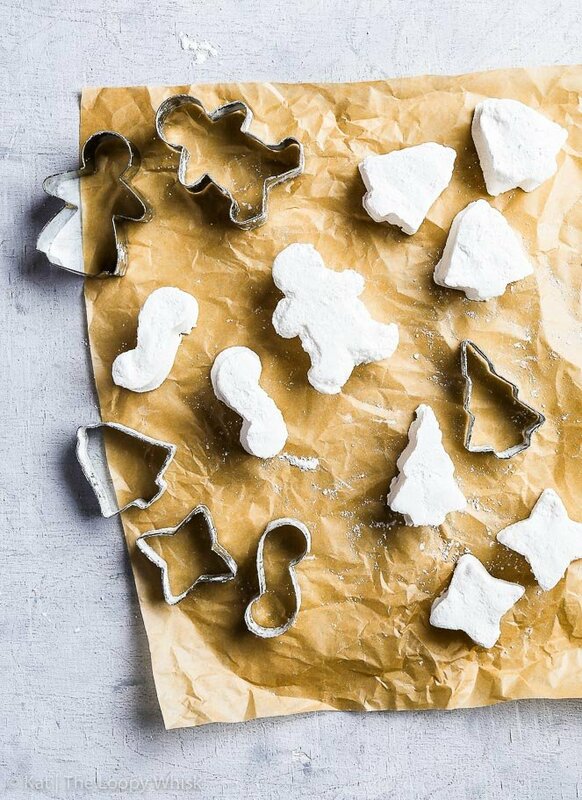 Roll the pieces in more powdered sugar + cornflour mixture to ensure they are evenly covered. 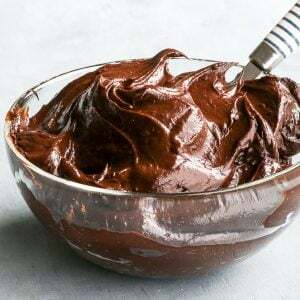 Note 1: If you're using sheet gelatine, you will need to soak it in a bowl with 1 1/2 cups of cold water for 10 minutes, then transfer it to the bowl of the stand mixer with 1/3 cup of the soaking water. You can dispose of the rest of the water. Looking for more HOW TO tips and tricks? I’ve got you covered! It’s possible that your gelatine wasn’t the best – maybe increase the amount of gelatine, and whip the marshmallow mixture for a longer time.